How to look geeky on your last day at work? Pick out the year end highlights in Open Access and take much joy in it. A remarkable year, 2011, powerful both in discourse and action around the movement, with far more footprints left on the road less travelled by. Here is a selection of the favorite ten, following no system or a prescribed direction, just a strong outline on the ground, and roses. The University of Belgrade in Serbia, with more than 90,000 students and over 4,200 members of teaching staff, has signed the Berlin Declaration to Open Access this year. In this way, the university has proved commitment to join more than 300 universities, such as Harvard or Liege, as well as institutes, library associations and various scientific commons. We, at InTech, organized the SHOW festival in Rijeka this year, the first ever Open Access Week event in Croatia. At the Faculty of Humanities and Social Sciences, we have presented the Croatian portal of scientific journals that now counts approximately 130 open access titles, we have seen Ivana Hebrang-Grgic presenting her research paper on Open Access in Croatia, the young individuals from the Publishing Academy in Rijeka, Croatia, Tomislav Medak from Creative Commons Croatia, our own Sara Uhac, head of journal publishing at InTech and many others, all introducing the open access publishing option for Croatian students. Furthermore, this year, the Open Access Week event was held for the second time in Skopje, Macedonia and lastly, as a result of an initiative proposed by EIFL and supported by universities and libraries throughout Slovenia, a website about open access written entirely in Slovenian popped up. EIFL organization works as an advocate for the adoption of Open Access policies and mandates in the region, builds capacities, offers training, supports knowledge sharing, and provides expertise, and finally, empowers library professionals, scholars, educators and students to become Open Access advocates. EIFL also won the 2011 SPARC Europe Award for Outstanding Achievements in Scholarly Communications. Well deserved. At Berlin 9, one of the subjects discussed was the impact of Open Access and open repositories on research in the humanities. The key presenters at the conference were directly involved in developing pioneering online tools for a web of interactive, sustainable and transparent – humanities, and they tried to find out what are the unique challenges of moving toward open in the humanities and social sciences. “Unlike many discussions of open access, which have focused on the sciences, the Berlin 9 meeting made the humanities and social sciences squarely part of the agenda,” Jennifer Howard reports. You can find her summary of the conference here. An emerging measuring tool for Open Access as a standalone discipline, Open Access Map was finally launched in June this year and presented at the OAI 7 conference on Innovation in Scholarly Communication in Geneva. 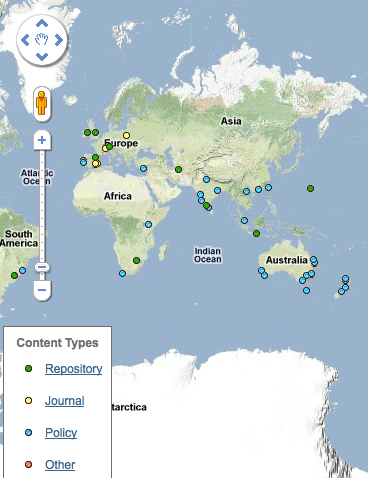 Alma Swan announced the launching of the Open Access Map: “The tool will prevent duplication, enhance collaboration, and will generally enable an approach where new projects properly build upon existing or completed ones.” The map also displays the locations of other OA related initiatives, including funding policies, government documents, university mandates. It is a unique aggregating and networking tool that has the potential to catalyze additional OA developments across the world. Everyone is invited to use the “Add Item” feature to share their contribution with the project. Right to Research Coalition has organized the first European student summit on Open Access, this year in May, at the Humbold University of Berlin, in Germany. Shortly upon announcing the first European student summit on Open Access, the Right to Research Coalition has launched yet another gem: Open Access Flyer. The new flyer is a short, but handy and flexible tool to be used in raising awareness about the importance of opening access to research, around campuses. A customizable version can be downloaded for the mash up. Finally, nearing the Open Access Week, The Right to Research Coalition has announced a new student guide to publishing openly, entitled Optimize Your Publishing, Maximize Your Impact. The guide can be found here. The guide answers questions such as where to submit your manuscript, what are the factors that go into deciding the most appropriate publication outlet, which journal will give your article the widest audience. Conveniently, the guide does so through an illustrated decision tree. “We need research to be as useful as possible every day, in routine circumstances, and not just in times of disaster,” Peter Suber explains. However, The US National Library of Medicine announced the activation of the Emergency Access Initiative (EAI) this year in support of medical efforts in Japan following the devastating earthquake and tsunami. Thomson Reuters made its clinical reference content for dealing with radiation exposure available to clinicians and the general public, free of charge. Elsevier provided free access to its primary online clinical reference tools – MD Consult and First Consult – to all IPs originating from Japan through April, 2011. OpenStreet Map (free editable map of the whole world) was building OA maps of the disaster area to aid rescue and recovery efforts. Heather Morrison has compiled another set of graphs and charts to reflect on the year 2011 and the growth of open access to scholarly resources of different kinds. She calls it an “outstanding year” with a growth rate of 9 titles per day, and finds that “open access has entered a new phase, one in which we are beginning to see the challenges of success.” Find her year end assessment of open access growth here. Finally, a Book on Open Access to Put on Your Shelf! Peter Suber, the most zealous archivist of the Open Access movement that has sadly decided to send us quarterly newsletters this year instead of monthly copies that we were so much used to, has finally decided to collect some of his writings in a book that we can finally put on a shelf and forget for a second how the Internet lets us share copies of everything at no cost. 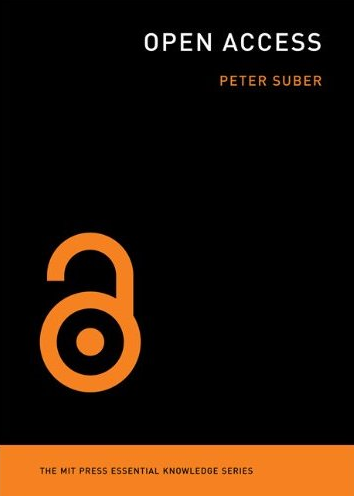 From a short description: “In this concise introduction, Peter Suber tells us what open access is and isn’t, how it benefits authors and readers of research, how we pay for it, how it avoids copyright problems, how it has moved from the periphery to the mainstream, and what its future may hold. Distilling a decade of Suber’s influential writing and thinking about open access, this is the indispensable book on the subject for researchers, librarians, administrators, funders, publishers, and policy makers.” Pre-orders here, the rest can wait for an open access edition that could follow. European Commission sought consultation on scientific information in the digital age from citizens and organizations involved: governments, research institutions and universities, libraries, scientific publishers, research funding organizations, businesses, individual researchers and other interested parties. They have recently published an analysis of the questionnaire titled “National Open Access and Preservation Policies in Europe” that can be read online. “As we move towards Horizon 2020 – the next Framework Programme for Research and Innovation and the completion of the European Research Area, we must start thinking about ways in which knowledge circulation can be improved,” Maire Geoghegan-Quinn, Commissioner for Research, Innovation and Science, mentions in a foreword to the document. “We have excellent researchers in Europe and I am determined to give them the conditions they deserve. Open access is one of these conditions,” she concludes. After PLoS ONE received its 2010 journal impact factor, 4.411 in June, placing the open access journal in 12th spot among 85 Biology journals, the journal opened the era of new “mega open access journals”. The clones started to pop up, purposefully interdisciplinary in nature. 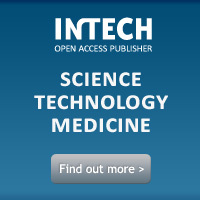 Among others, the Howard Hughes Medical Institute, the Max Planck Society and the Wellcome Trust announced plans to launch a top-tier open access journal in 2012 for biomedical and life sciences research. To quote Phil Davis from the Scholarly Kitchen: “For the cynical, PLoS ONE is an alien Blob that is bent on devouring the publishing landscape; for its supporters, it represents a successful model to be emulated.” A blob or not, the PLoS ONE genetic information was widely copied in the year 2011 and it served as a practice guide for publishers. Simone Aliprandi, a lawyer, active in consulting, coaching and researching the field of copyright and ICT law has composed a user guide, i.e. a complete manual to the world of Creative Commons licenses. “Without neglecting useful conceptual clarifications, the author goes into technical details of the tools offered by Creative Commons, thus making them also understandable for total neophytes. This is a fundamental book for all those who are interested in the open content and copyleft world,” it is stated in a foreword. Download your guide here and upgrade from a beginner to an advanced advocate of the copyleft movement next year. This entry was posted in OA Mandates, Open Access, Open Access Tools and tagged Berlin 9, Creative Commons, DOAJ, EIFL, European Commission, OA, Open Access, open access 2011, open access Balkans, Open Access Map, open access mega journals, open access week 2011, Peter Suber, PLoS One, Right to Research Coalition, share open access worldwide, SHOW. Bookmark the permalink.